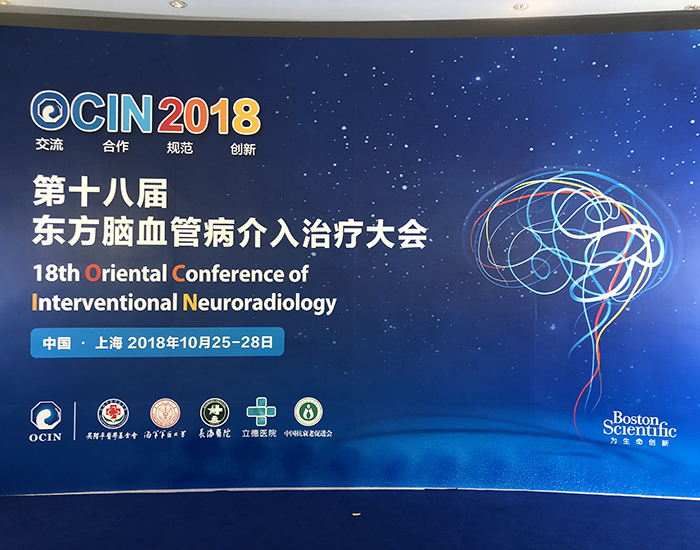 Impressions of Acandis‘ participation at OCIN 2018 – the 18th Oriental Conference of Interventional Neuroradiology, held in Shanghai October 25th – 28th 2018. 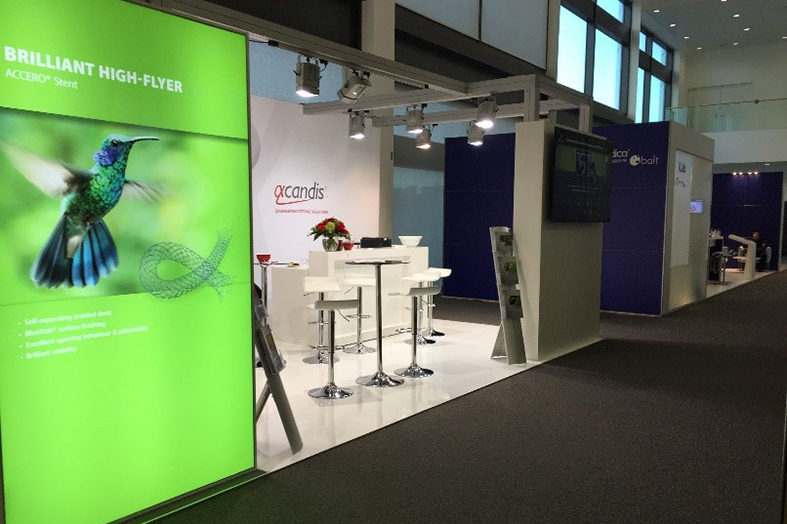 In October, Acandis participated at the 53rd Annual Congress of the German Society for Neuroradiology, neuroRAD 2018, held in Frankfurt from October 03rd - 06th – an important conference to meet with neuroradiologists and experts to discuss experience and new ideas. 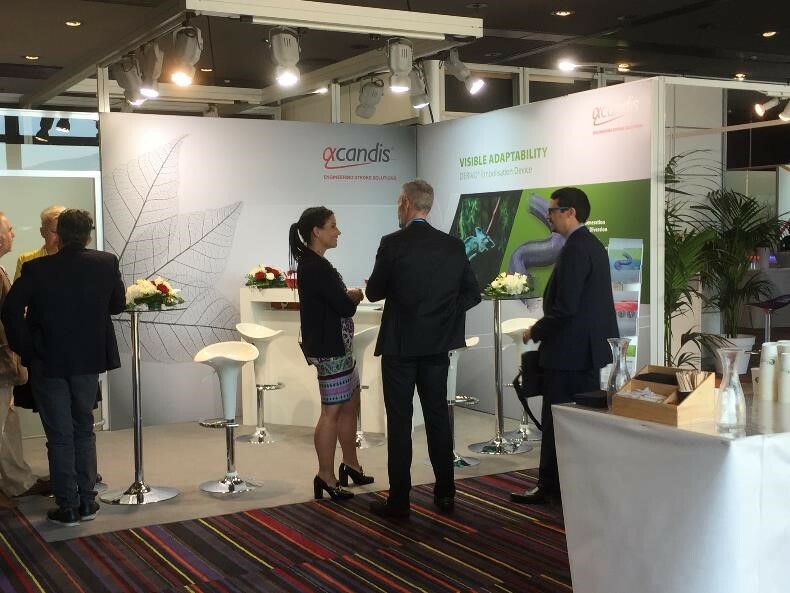 At the 10th anniversary ESMINT Congress, held in Nice from September 06th – 08th, Acandis® presented its neurovascular portfolio and launched the new Accero® Stent. 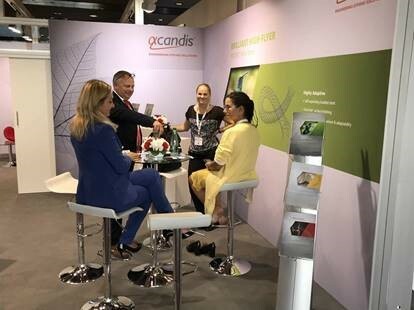 During the 14th congress of WFITN in Budapest, Hungary, ACANDIS presented its portfolio of medical devices for the treatment of intracranial aneurysms and ischaemic stroke. 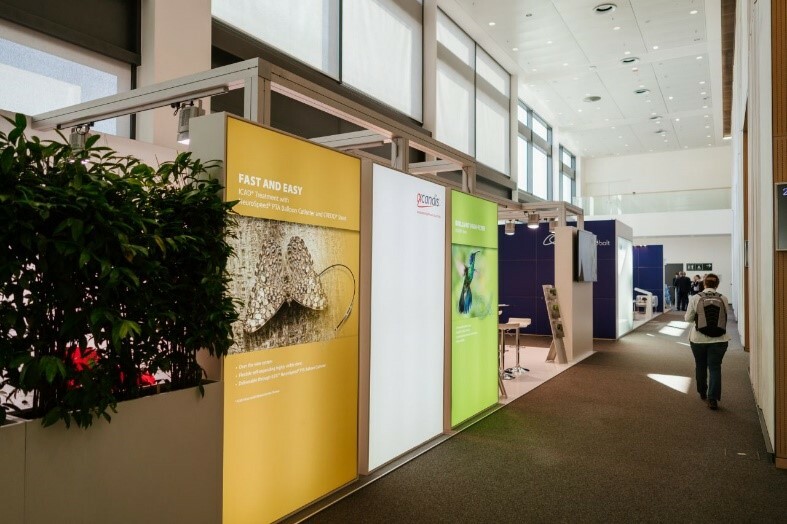 For the experience in Germany Prof. Christian Taschner presented on “DERIVO® Trial: a prospective multicentre register study. Clinical and angiographic mid term results in forty patients”. Currently, 96 patients have been enrolled in the registry. The final results are expected by the end of 2018. Dr. Maliakal from the Hull University Teaching Hospital reported about his experience in UK and showed some challenging cases. As major benefits of the DERIVO® he outlined the good visualization, the ease of deployment and as a significant difference - very little artefacts on MRI. 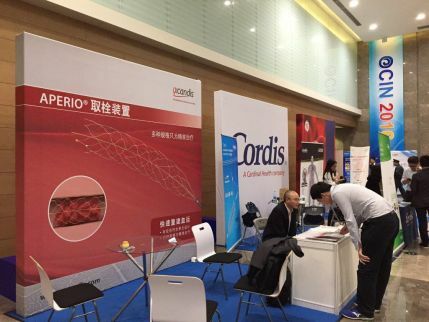 At OCIN, one out of four bigger Neurovascular Congresses in China from Oct, 27th to Oct 29th in Shanghai, MontsMed presented the neurovascular product portfolio from Acandis, mainly the APERIO Thrombectomy Device for Acute Stroke. There were a lot of discussions and talks with physicians about ischemic stroke. 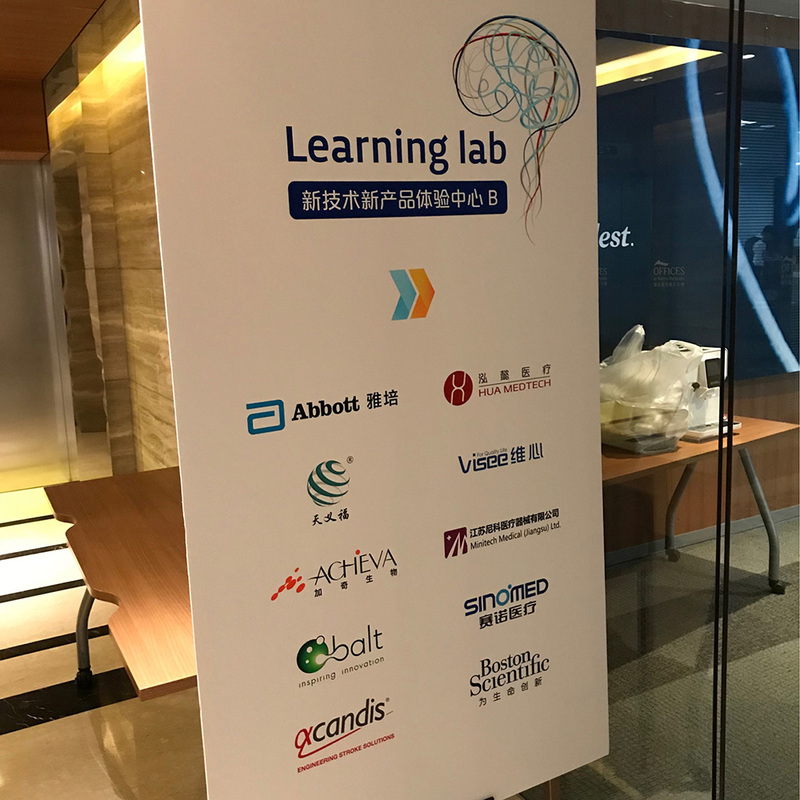 Moreover, there was a hands-on training station for ischemic thrombectomy which met with considerable interest and was welcomed by many interested doctors. 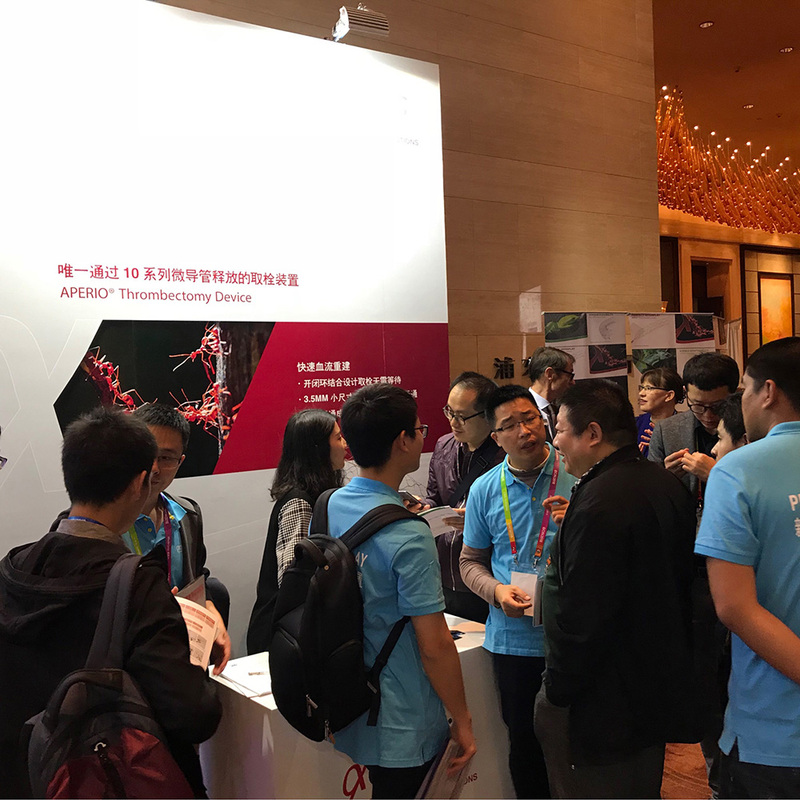 Montsmed formed its operations base in Shanghai and is focused on the Asian market. 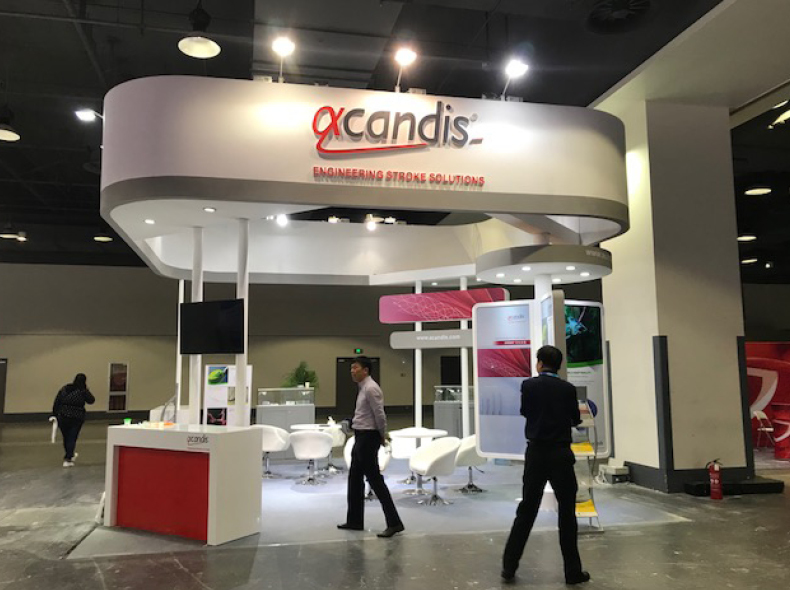 MontsMed builds a partnership with Acandis to ensure their long-term success in the selected Asian market. 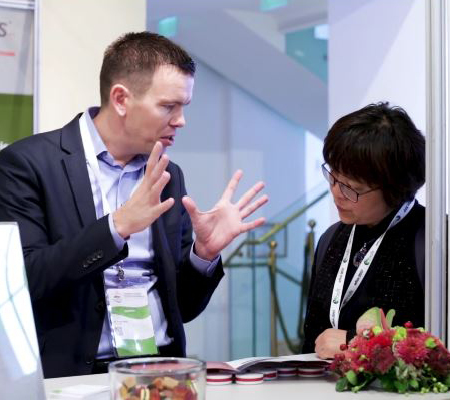 ESMINT in Nizza is an important platform for Acandis to talk to physicians from all over the world, meet experts, exchange ideas and discuss future needs. 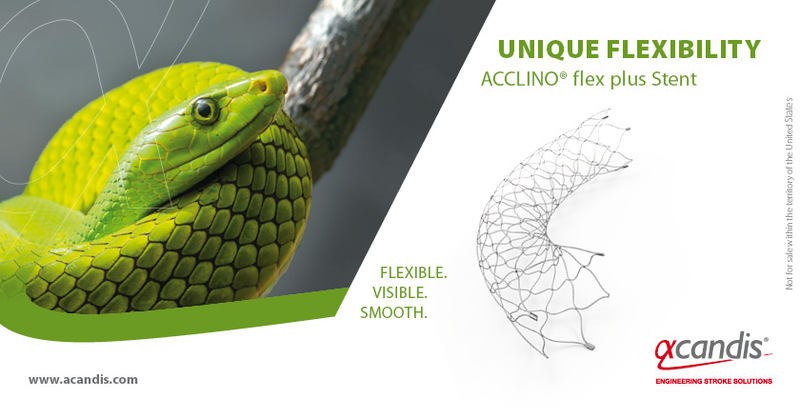 This year Acandis launched ACCLINO® flex plus – the new laser-cut stent for the treatment of intracranial aneurysms. „With its optimised asymmetric cell design this new closed cell laser-cut Stent ensures the highest flexibility in its class“,Dr. 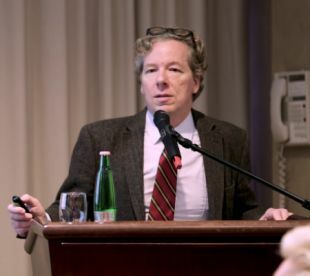 Andreas Schüssler, CEO from Acandis said. The new ACCLINO flex plus stent features a new X-ray marker concept for a safe and precise placement under fluoroscopy: Three flat Platinum-Iridium X-ray markers on each end and two gold markers on the transport wire. 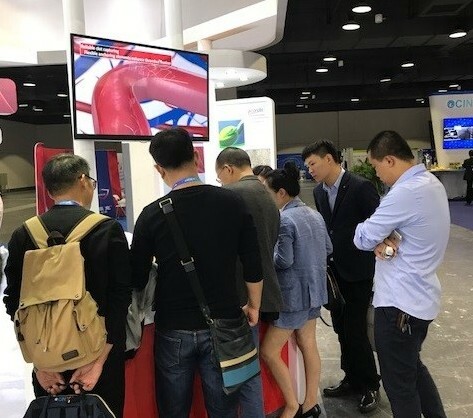 Moreover the Stent displays enhanced expansion behaviour, excellent vessel wall apposition and optimal conformability even in tortuous vessel anatomies. 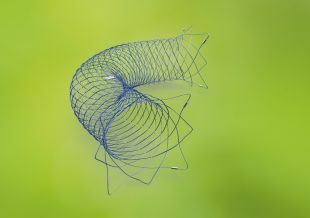 The stent is suitable for vessel diameters from 1.5 to 6.0 mm. For an easy handling all sizes from 3.0 – 5.5 mm are deliverable through microcatheters with 0.0165” - 0.017” ID. This allows a sequential stent and coil placement without changing manouver. 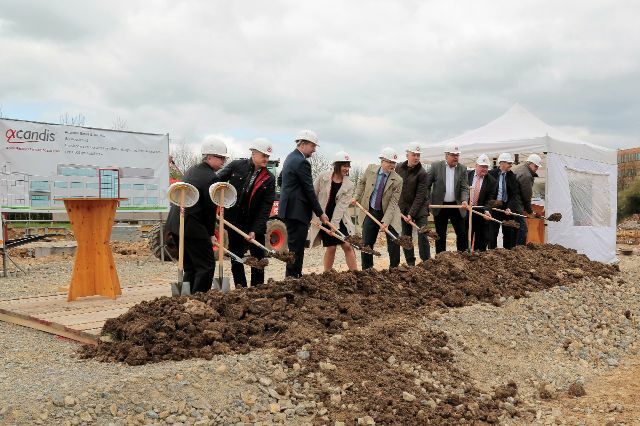 A ground breaking ceremony on April 6, 2017 marked the start of the construction of a new 3- level building building.Under attendance of representatives of the city of Pforzheim and the employees, CEO Andreas Schuessler and his wife Kirsi explained that with the additional space for Research, Development and Technology by 1.487 qm a new chapter in the history of Acandis starts. He emphasized that in these days, modern medical technology is much more than improving and enhancement of existing processes. 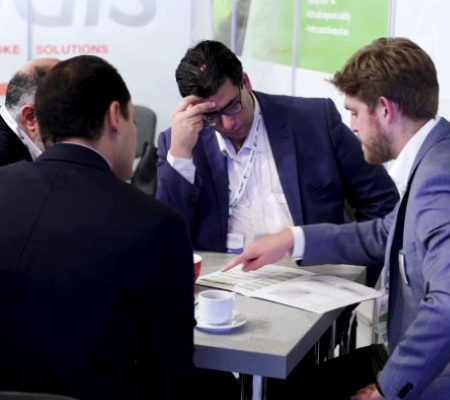 It is strong research based and in line with new method of treatments whilst the market is definitely global and very dynamic. 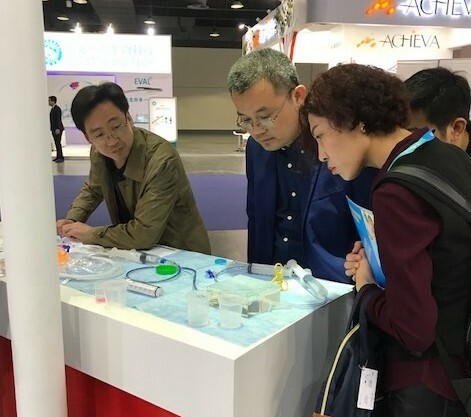 Founded in 2006 as a Research and Development company with only one engineer, Acandis has now approved 7 product families for high-end medical therapy and sells its products worldwide. "To grow sustainably, we will improve our processes and logistics and invest in key technologies, these are the preconditions for unique products, the pillar of our growth“ so Dr. Schuessler. 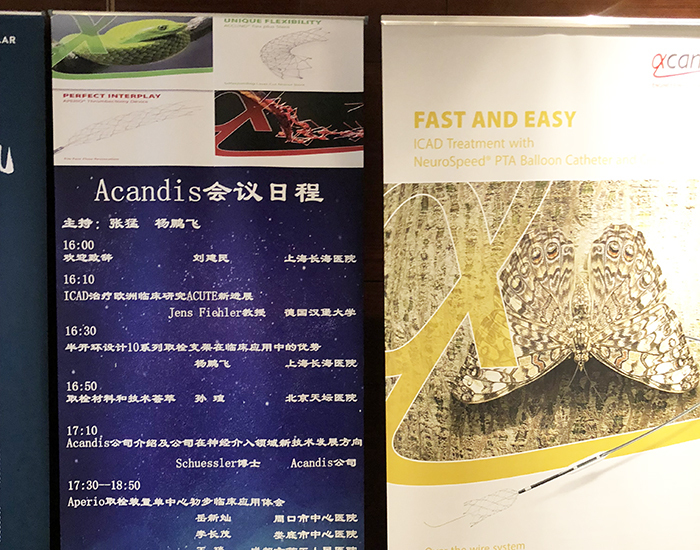 This year, Acandis is participating for the first time at the OCIN Oriental Conference of Interventional Neuroradiology in Shanghai, China.